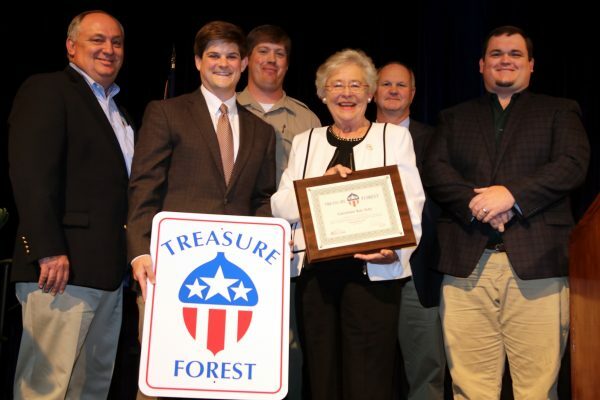 The Alabama TREASURE Forest Association, or ATFA, recently presented Alabama Gov. Kay Ivey with the TREASURE Forest Certification for her property in Monroe County. During the joint ATFA and Alabama Natural Resources Council (ANRC) awards banquet held in Florence, Governor Ivey addressed landowners and industry representatives, noting the importance of forestry to Alabama’s economy and commending forest landowners for their stewardship. Ivey is one of 70 new TREASURE Forest landowners certified this year. An Alabama native and Auburn University alumna, Ivey’s statements reflect her commitment to Alabama’s natural resources and its forestry industry. Recently Ivey participated in a press event to announce International Beams, a Florida-based wood products company, investment in a nearly $20 million manufacturing facility located near Dothan which will produce cross-laminated timber panels (CLT) and glue laminated beams (GLU-LAM) using southern pine lumber. Because of its high strength and dimensional stability, it can be used as an alternative to concrete, masonry and steel in many building types. Due to its performance compared to conventional materials, it is also gaining in popularity among residential builders according to International Beams. Alabama’s forest production and processing industry contributes nearly $15 billion to the state’s economy and positions it to be a leader in the development of a sustainable bio-based economy that includes wood processing, construction, chemicals and energy, bioplastics and packaging. With several other wood-related industries on the horizon, its impact on the state’s economy is expected to be significant. 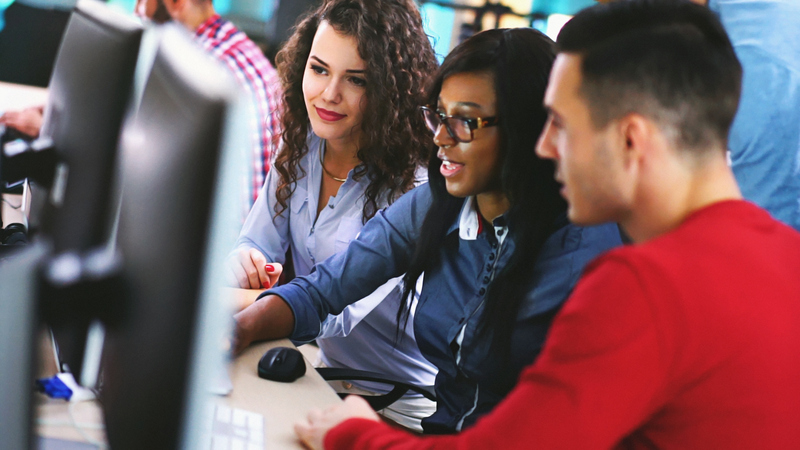 Current students may apply credit to the new degree which will begin enrollment in the fall 2018.